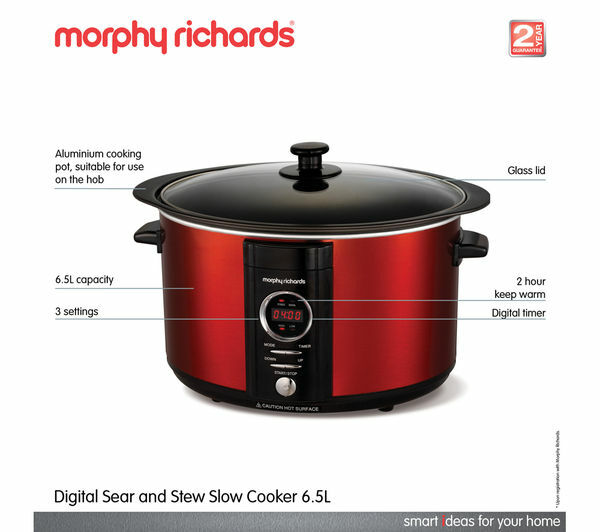 Use the Morphy Richards 461005 Digital Sear & Stew Slow Cooker for delicious slow cooked meals ready whenever you are. 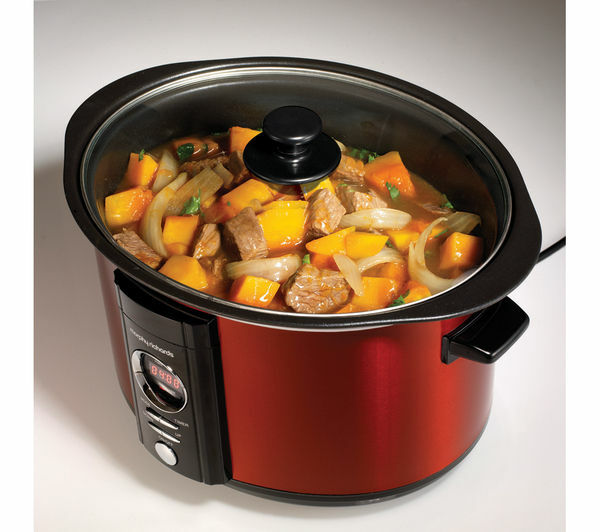 Make it easier to plan your dinners with the 461005 Digital Sear & Stew Slow Cooker featuring a digital display to help you organise your meals. 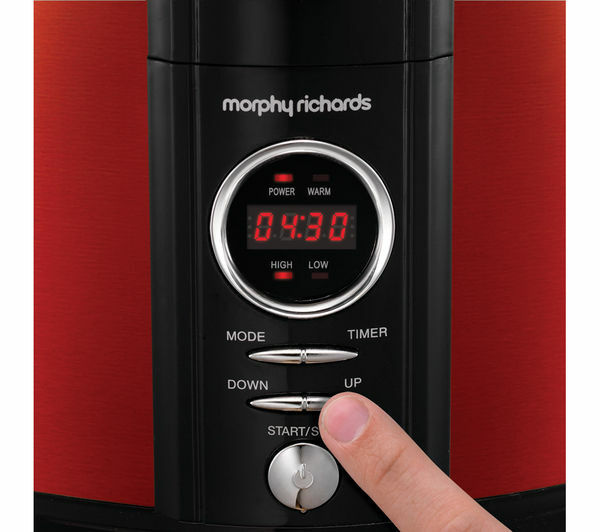 Set the timer and select the heat setting you want your food to be cooked at and the 461005 will turn on when you specify, giving you a perfectly cooked meal that is ready as soon as you get home. Simply place all your ingredients in the slow cooker, set the timer and come back to beautifully slow cooked casseroles, curries, soups and more. 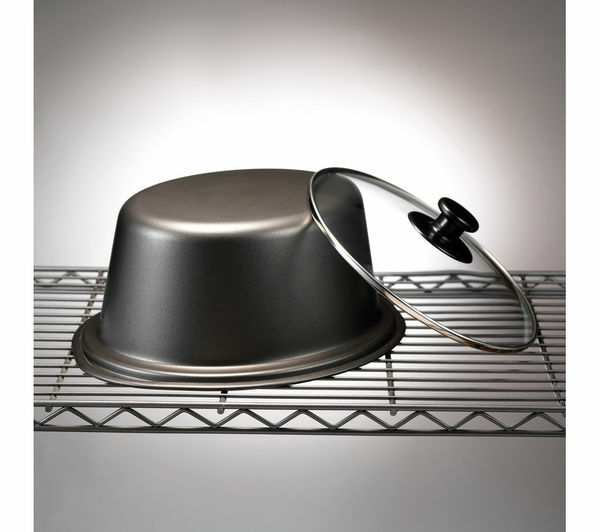 Adjust how you cook foods with three settings, high heat, low heat and auto keep warm. 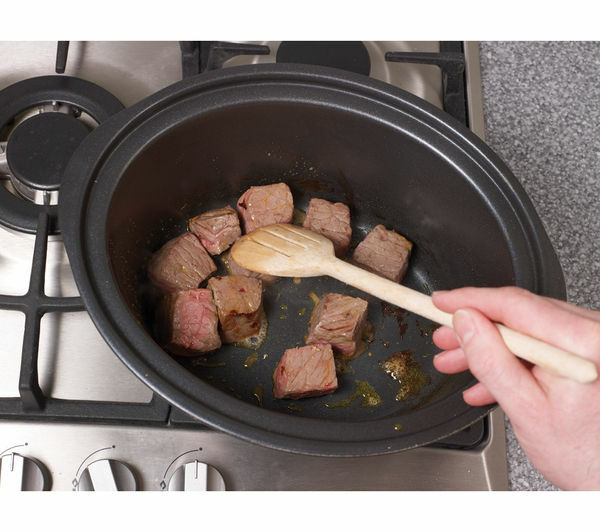 Gently cook larger joints of meat on a low heat for a succulent, moist brisket or shank or cook on a higher heat less time for more tender cuts as well as casseroles and curries. The auto keep warm feature engages automatically as soon as cooking finishes to keep your meal warm without over cooking it. 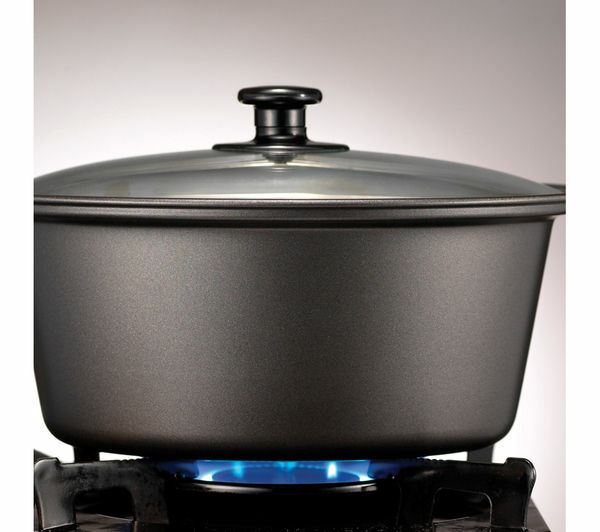 As the pot is hob safe you can easily sear your meat before adding other ingredients and with a 6.5-litre capacity you can easily feed the whole family or cook up more to freeze for later. 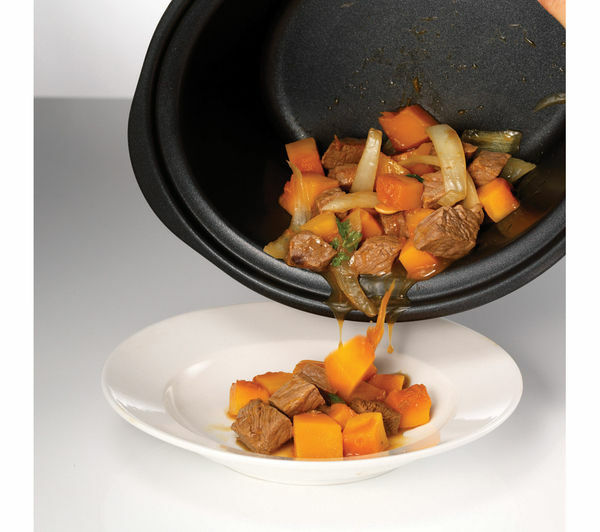 Seal in the flavour of the meat, ensure everything is cooked properly and then add your stock and vegetables to start slow cooking all without using any additional cookware. 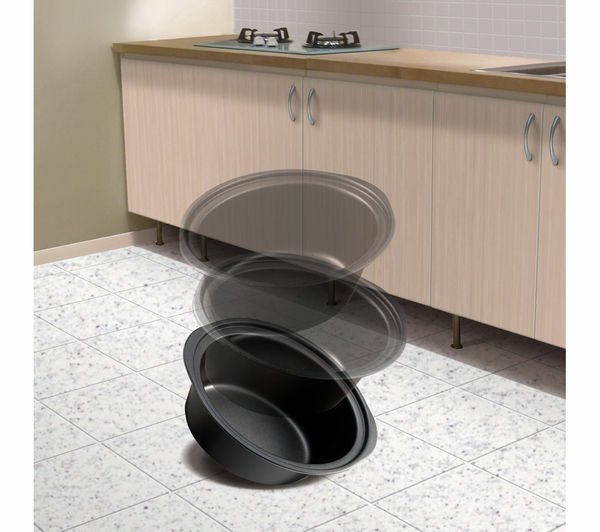 Not only is the pot hob safe but it is also dishwasher and shatterproof for additional convenience and peace of mind. 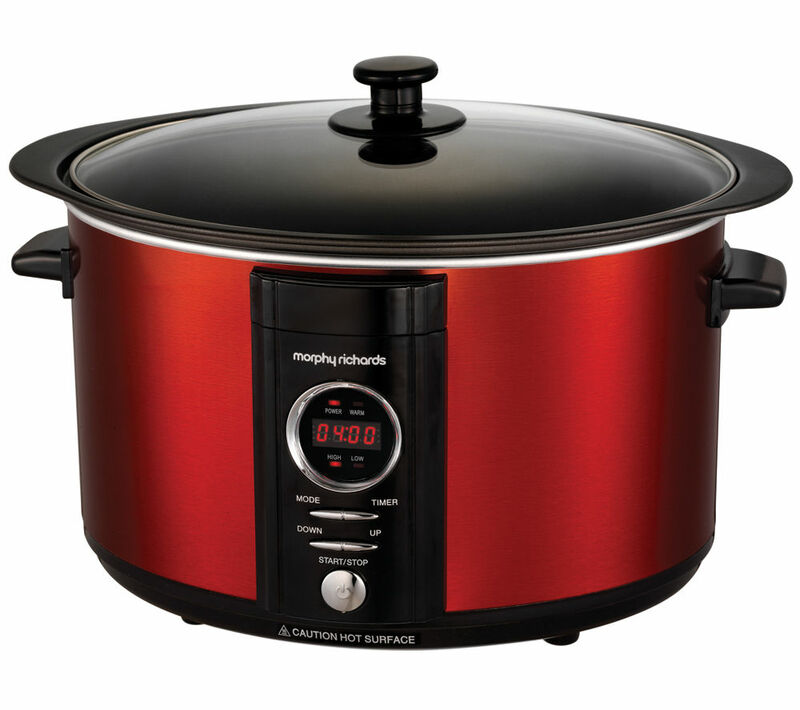 A toughened glass lid, attractive red finish and easy to use controls mean that the Morphy Richards 461005 Digital Sear & Stew Slow Cooker gives you plenty of options for healthy slow cooked food at home. OMG love this slow cooker wish I brought it sooner loves how big it is especially for doing my lamb shanks also love the fact that I don't have to use a different pan to brown off meats first absolutely love it!!!! Mode button could have been set out differently but it's simple enough to use. The outside gets hot, have to be careful with children.